On the 23rd of September 2014 UN Secretary General Ban Ki-moon will host a global climate summit involving leaders of government, business and civil society. On Sunday the 21st people around the world will be running events in their community to show their concern about climate change and their support for strong leadership on the issue. Millions of people have already registered for thousands of events with mass rallies planned in London, Rio, New York, Berlin and Melbourne. The Sunshine Coast Environment Council will host a Climate Change Relay to join our voice to the global chorus of concerned citizens. 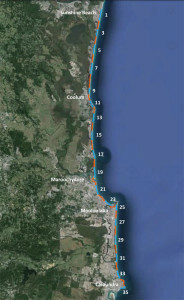 The relay will walk the length of the coast starting at Sunshine Beach SLSC at sunrise and finishing at Kings Beach at sunset. Starting at Sunrise this will be the first event to kick off in Australia (and depending what our friends in NZ and the rest of the pacific do, possibly even the world!). 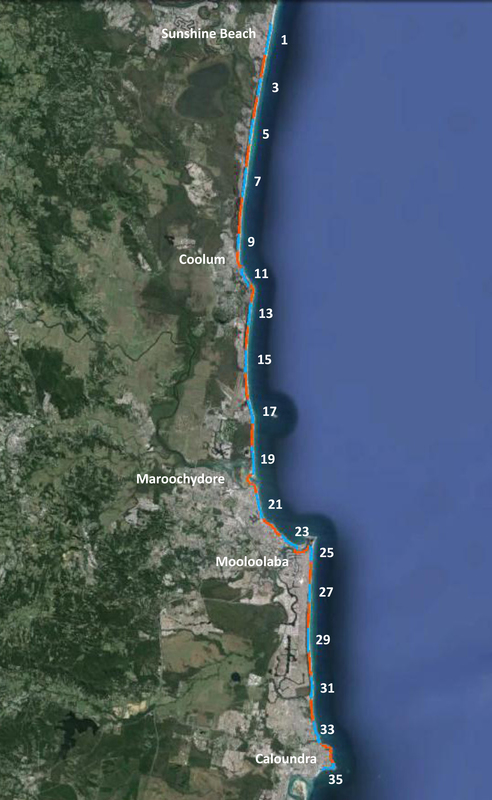 The route, which runs (almost) entirely along the beach, has been divided in 35 stages each of which will take approximately 20 minutes to complete (click here to view the relay schedule or click here to view detailed maps of individual stages). We are inviting everyone on the coast to come and join us for one or more stages and show you care about climate change. Climate change is real, climate change is happening now and climate change will impact on every facet of our community. We have the knowledge and technology to respond to the climate change challenge and avoid dangerous (more than 2 degrees) climate change. Such a response would not only avert dangerous climate change but it would generate economic opportunities in the same way that the invention of computers, the internal combustion engine or indeed the steam engine have done in the past. Yet our so called "leaders" play politics with the issue, ignoring the magnitude of the threat facing us and happily dismissing the science on the issue (the same science that gave them mobile phones, cancer drugs, plastics and aeroplanes). 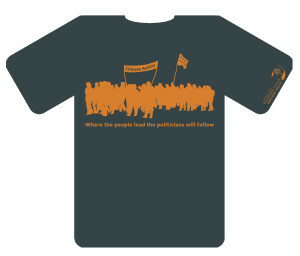 So it is up to us, the people, to remind our "leaders" who they are there to represent and to show once again that: "where the people lead, the politicians will follow." Why walk along the beach? The short answer is of course, well isn't that why we live here? There is a longer, more serious answer. 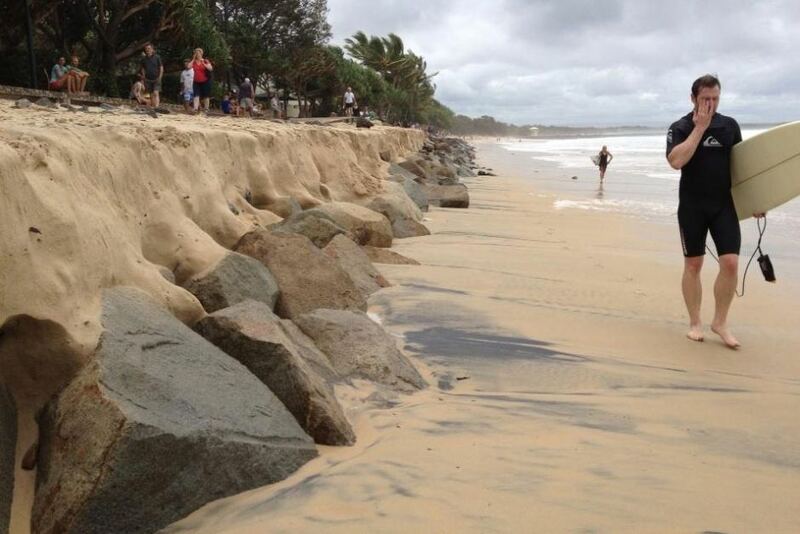 As a coastal community the Sunshine Coast is more at risk from the impacts of climate change than in land communities. Together we have invested over $72 billion in real estate much of which has been build in areas that will be at ever increasing risk of floods and storm surges as rainfall and storm events increase in intensity. And other aspects of our lifestyle will also be affected by climate change (and indeed may already be affected by it). As the climate gradually changes, we can expect different weather patterns to emerge, including changes to wind directions which will change the kinds of waves that wash up on our shore and the processes by which our beaches grow and shrink. A few more weeks of north easterlies can dramatically change the amount of sand that washes up or is taken away from a beach, changing the beach profile and with it the swell you'll find on that beach. By walking along the beach we mean to draw attention to the fact that climate change is not just about the weather getting a bit warmer, climate change will affect every facet of our community, often in wholly unimagined ways. The science tells us that, to in order to have a fighting chance of avoiding more than 2 degrees warming, we need to cut our emissions by 20% by the year 2020. That figure is not even being talked about by our 'leaders'. It's time to put it back on the agenda. SCEC is committed to running events such as the relay to urge our "leader" to take urgent action on climate change. But we can only do this with your support. Please consider making a tax deductable donation to our climate action campaign to help us continue to work on climate change.